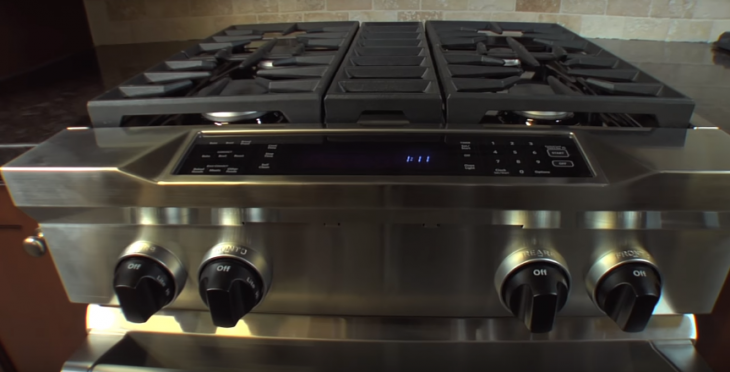 Best Professional Gas Range For The Home Reviews: Top-5 in April 2019! When it comes to home cooking, nothing beats a professional level gas range. These models, although more expensive than the standard residential models, provide excellent cooking surfaces and functionality that surpass the standard home units. As such, anyone with a touch of “master chef” craze, will enjoy the total control they have over their cooking environment. The main differences between a standard range and a professional one are the materials and controls you get with the upgraded model. Cast iron grates, accurate gas controls, proper BTU level gas systems, and of course, easy to clean surfaces, are integrated into providing you with a gas range that would fit into any Michelin 3-star restaurant too. A professional gas range has a few standard features, and these are important for a discerning buyer. The BTU range must reach at least 18,000 if not higher. The smallest surface is 30”, and the materials have to be high grade, such as solid cast iron grids and easy to clean stainless steel or chop free enamel surfaces. The Bosch HGI8054UC is part of their 800 series. This is a 30” stainless steel gas top with a convection oven. Bosch doesn’t need an introduction, this is one of the world’s leading and most popular residential brands, and is found in millions of homes worldwide. This model comes with touch control and heavy-duty Metal Knobs. The overall Low-profile Design aims for an integrated approach, and the main top is made of an easy to clean stainless steel. 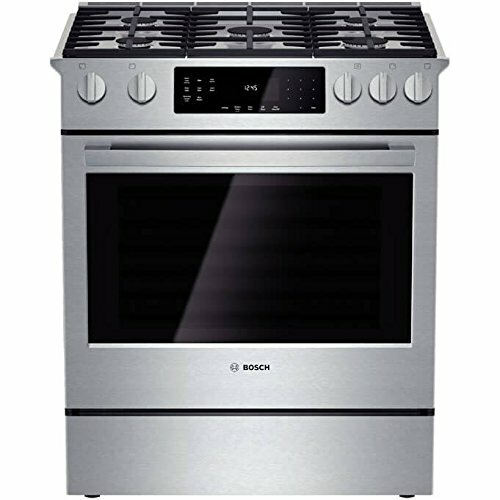 The range comes with 9 Specialized Cooking Modes, and the oven unit uses Standard Convection with Temperature Conversion. The gas range itself comes with 5 Burners for Add Flexibility and there is one bright and durable Oven Light. You also get a kitchen timer, and an extra-large door with clear window for monitoring. This is a star-K certified unit with a temperature range of 100° to 450° F, and the internal capacity reaches 4.8 Cu Ft.
You also get a warming drawer for keeping recipes warm while completing the whole cook for a “professional” service. Slide-in Range Fits in Any Freestanding Range Cutout. This is a Bosch, that sums it up in one word. 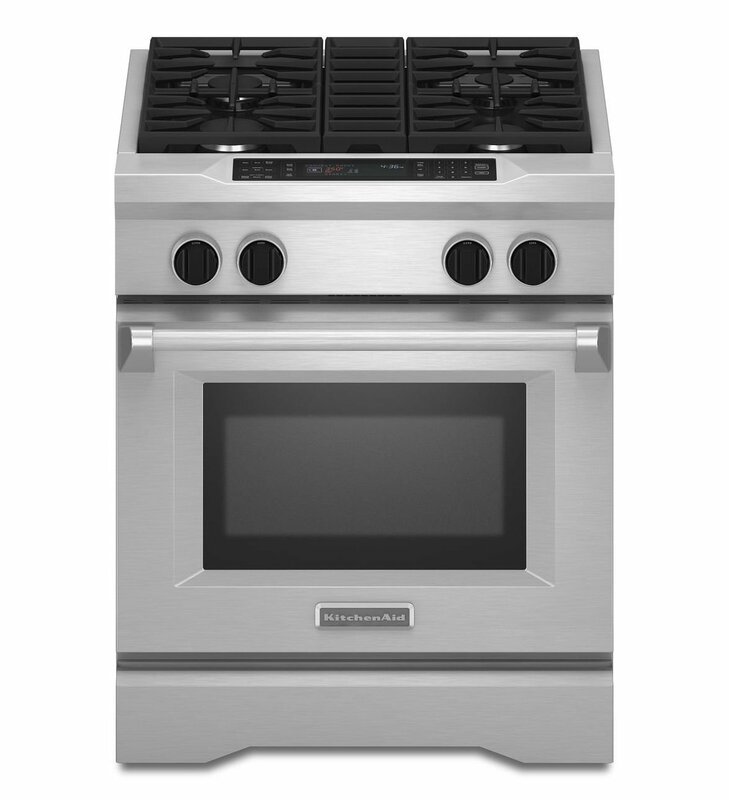 The Kitchenaid KDRS407VSS is a 30” 4-burner with a dual fuel source. Kitchenaid is another globally acclaimed name, and this model is an exceptional home device with professional performance qualities. What you get here are their Ultra Power™ Dual-Flame Burner that delivers 20,000 BTU and their Even-Heat™ Convection oven. These features are enhanced by the dual energy source, either natural gas or propane gas range, with an electric oven. Making this an exceptional product. The Even-Heat™ True Convection system uses a proprietary bow-tie design with a convection fan that provides an even distribution of heat inside the entire oven area, which happens to be 4 cu.ft. The 20,000 BTU Ultra Power™ Dual-Flame Burner provides you with professional level gas heat, that is accurately controlled by the robust knobs and cast iron grid design set in a stainless steel frame. 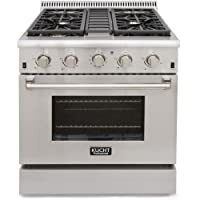 Kitchenaid is an exceptional mode, and if you prefer an electric oven to a gas one, then this combination unit is perfect for your home professional needs. 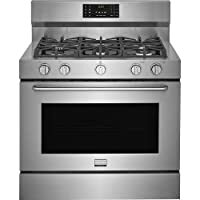 The Frigidaire FGDF4085TS is a robust 40” professional gas range and oven that comes with 5 burners, and professional stainless-steel finish. The Frigidaire FGDF4085TS integrates their SpaceWise® Cooktop that comes with five burners including a large Oval Burner that sits in the middle. This top is covered by solid cast iron grates. There is a third heating element in the oven that combines with a convection fan to provide evenly distributed heat throughout the oven area. This model uses the Frigidaire Effortless™ Temperature Probe that is set to keep the food warm without overcooking the interior. You get an alarm when the core temperature of the meat is reached, and the system then reduces the heat to a keep warm level. The dual fuel technology means that you get the versatility of a professional gas range with the exceptional quality of an electric convection oven. There is a keep warm setting for preparing all recipes that need more or less time for readiness to serve, and the gas top comes with a continuous grate, that makes it safer and easier to “drag” heavy pans across from one burner to another. The extra features you get include the Add-a-Minute function that enables you to set extra time for job completion, as well as a delay start to schedule your cook for a specific time frame. This model comes with 4 adjustable legs, and the five gas tops each have specific maximum BTU ranges, the oval ring provides 10,000 BTU, Left Front gives 15000 BTU, the Left Rear provides 9500 BTU, the Right Front delivers 18000 BTU, and the Right Rear gives you 5000 BTU. 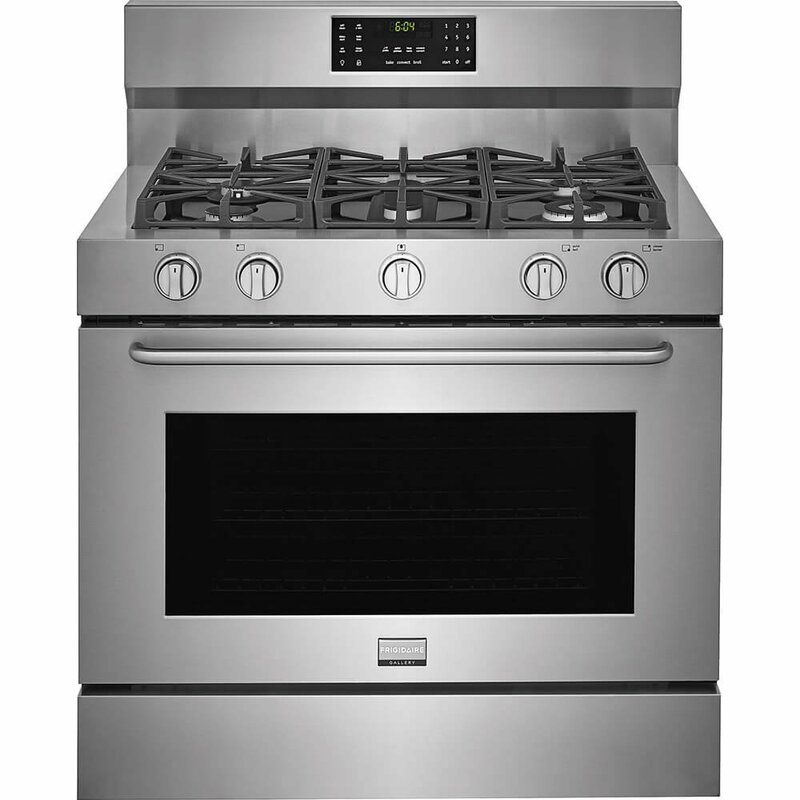 The gas surface capacity is 6.4 cu.ft, and the surface is stainless steel with stainless steel knobs. 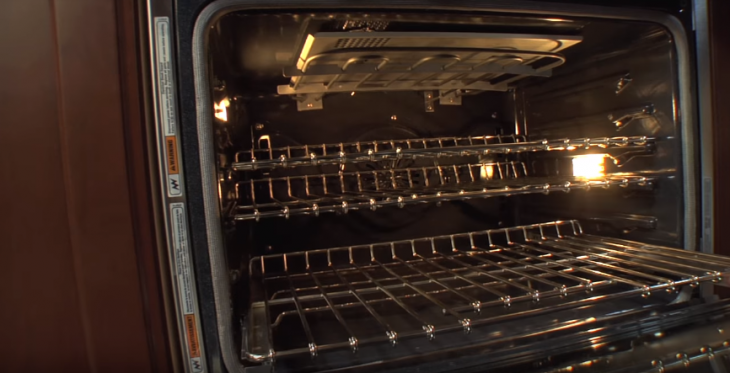 The oven is a self-clean technology unit and its dimensions are 19 5/8” deep, 18 ¾” high and 30 1/8” wide. The oven performance includes a 3000 watt 6 pass bake, a 6 pass 4000-watt broil, a 2500 watt convection mode. The overall weight of this model is 292 Lbs. This is a very comprehensive unit and is as close to a professional model as you can get. This unit combines a modern design with restaurant quality cooking performance and is priced accordingly. This is the Kucht KRG3080U Professional 4.2 cu. ft. 30” Natural Gas Rang. 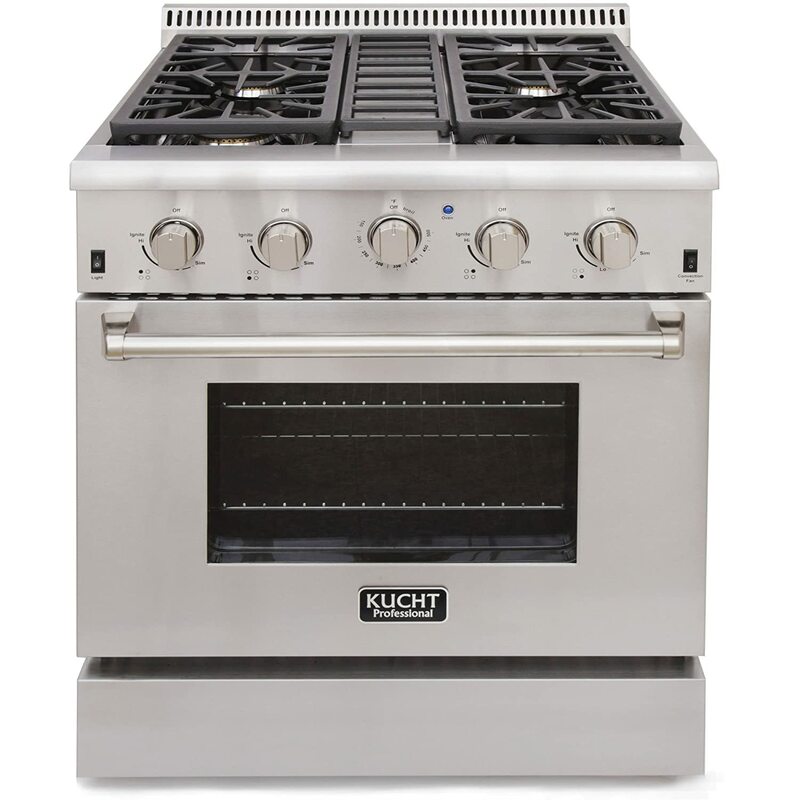 The Kucht KRG3080U is another great professional level gas range and cooker, and comes with a much friendlier price range. This is a one power source cooker, all gas. What you get here is a 30” gas range that has a maximum 18,000 BTU burner with one 15,000 BTU and two 12,000 BTU burners, and comes with a 22,000 BTU convection oven that sports a 15,000 BTU tube burner broiler. The design uses modern stainless-steel finish with cast iron grates, a central cast iron pass unit, and large stainless steel knobs for accurate control. The oven is 4.2 cu.ft. and has a blue porcelain interior that comes with a large door and window. The oven top is coated with black porcelain, and the whole system is operated by an electronic ignition system, so you don’t need to use matches. The units overall dimensions are 36” height, 30” width and 28 7/8” depth, and the system weigh 200 Lbs. 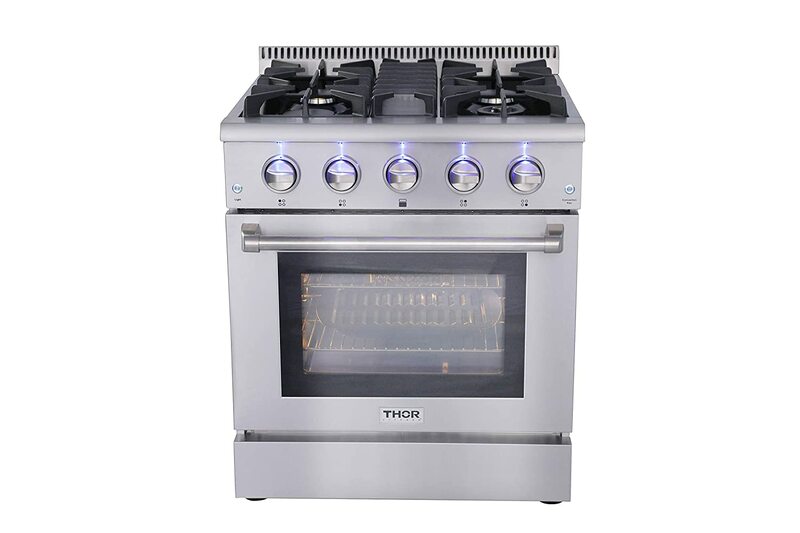 This is the Thor Kitchen HRG3080U, a 30” professional gas cooker range with a 4.2 cu.ft oven capacity. The Thor Kitchen is an affordable professional gas range that delivers some very great but basic aspects for a fully professional unit. This model comes with a four top burner that has an 18,00 BTU unit; two 12,000 BTU sealed units and a single 15,000 BTU unit that comes with a 650 BTU simmer function. The gas range comes with a continuous flat cast iron grid and a central grid unit; it also comes with a black Porcelain Drip Pan for easy surface cleaning. The oven broiler unit delivers 13,000 BTU, and the U shape stove burner reaches 22,000 BTU. The capacity of the oven is 4.2 cu.ft., and the surface is coated with blue porcelain. This is a convection oven and provides true convection heat functions. There are two halogen lamps in the oven cavity to provide maximum lighting for excellent extremal viewing. The device comes with a thermostat for accurate temperature control, and the overall dimensions of the unit are 26.1” D x 30” W x 38.3” H, and it weighs 172 Lbs. If you want a budget-friendly unit and don’t want to spend the extra dollars for a brand name, then this exceptionally priced oven will do the trick. It is actually as good as any brand name, and just as you pay double for a brand item of clothing, so too do you pay more for brand kitchen appliances. A such, this is my recommended model. Professional ranges come in a number of sizes, and it’s up to you to decide which one suits your needs as well as meets your space. Sizes are set at 30, 36, 48, and 60 inches. Prices vary, but for the semi-professional model you will spend up to $2,000, for professional models, get ready to dish out anywhere from $3,000 and above, and they can even reach over $20,000. Professional gas ranges will last over 20 years but always buy a brand with a lifetime warranty, even a limited one that includes the burner ignition system is important. Brand here is important since the lesser known models will suffer for spare parts over time. What is better, Gas or electric? Consider this fact; gas ranges are called gas ranges because they use gas. Professional chefs only use gas, while ovens will usually be bespoke. This means that ovens will usually be electric convection or be specific to their needs. Also, remember that professionals don’t buy “self-clean” ovens, that’s what they have cleaners for, but at home, a self-clean oven is only electric and it’s always good for that extra cost. Professional burners reach 18,000 BTU’s, but the heat is not all. It is about controlling the heat that counts. Hotter BTU’s don’t deliver better food, good food is delivered through control of the heat. If you need to simmer food you want it as low as 650 BTU. As such, controllable burners are more important that hotter ones, but you do need at least one 18,000 BTU burner for professional level cooking. Make sure your model has at least one 350 BTU gas ring. Closed or sealed burners have easier to clean surfaces, since these burners don’t have any openings between the surface and the underside of the top shelf. This actually reduces the burn efficiency but does increase cleaning efficiency. Open burners have access to more air, as such, they produce heat in a more efficient way. Professional gas ranges always have open burners. 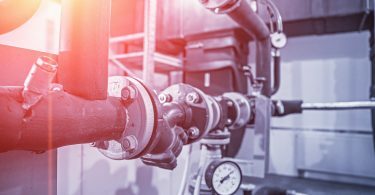 A professional gas range will have at least one power burner that delivers a minimum of 18,000 BTU the more professional the higher the BTU, and you can get them to deliver 25,000 BTU. 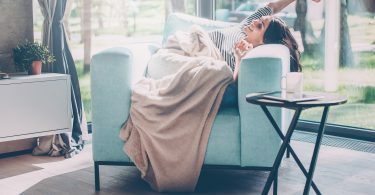 A hallmark of pro-style ranges is at least one high-heat burner that can blast out 18,000 to 25,000 BTU (British thermal units), a measure of energy. Different manufacturers use different designs to deliver the heat in an even pattern. This burner relies on two stacked brass disks ringed with gas jets to put out a full spectrum of heat, from low to high. This is a special top, its not found on many home appliances, but it is very useful for heating many pans at one time. Essentially it is a burner unit that comes under a cast iron plate, and this plate is large enough to place a few pots over it. As such, one very hot burner can maintain many pots at one time.